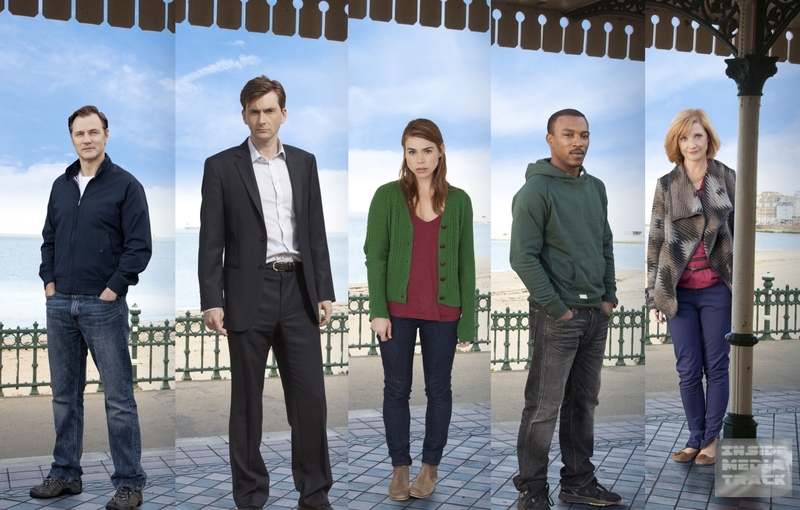 The BBC has released new pictures (we will release more on the site this week) and a launch trailer for True Love, which tells of five overlapping love stories set in the same town, starring; David Tennant, Ashley Walters, Billie Piper, Jane Horrocks and David Morrissey. The five episodes were created and directed by Bafta winning Dominic Savage. Please tell me that the name of the trailer song is? I don’t hear too well and it sounds like ‘Time after time’, but I’m not certain who is singing it, or even if I’m correct. Yes it’s definitely ‘Time after time’ not sure of the singer but i’ll try and find out. It is ‘Time After time’ the Eva Cassidy version. Hope that helps.